Clann's Ladies notes below. I've also attached a photo of our G4M&O's team who took part in the Connaught G4M&O Blitz at the weekend. Clann U14 girls played Oran in the semi final of the Division 1 league on Wednesday evening in a wet and windy Johnstown. Clann were playing against a strong wind in the first half and went two points down early in the game. Oran had a lot of the play early on but with some outstanding play by the Clann defenders the were kept at bay. Clann got on top in midfield and with quality ball going into the forwards the girls went in at half time three points up. Clann had the wind in the second half and finished the game strong and registered some brilliant scores in the second half. A great game of football played by both teams in wet and windy conditions. Clann play neighbours St Brigids in the Division 1 league final on Tuesday 19th June in Elphin at 8pm. Clann Panel: Giolliasa Jamil, Abbie Kelly, Aine Moyles, Niamh Mc Teague, Tara O’Neill, Allannah Whyte, Aoife McGoldrick, Aoife Ni Leochain, Amanda Ryan ,Ella O’Reilly, Caireann McGoldrick, Niamh Jordan, Elaine Connell, Hope Glynn, Caolin McClean, Sarah Shine, Amy O’Brien, Niamh Mulvey, Eva Bea Mulligan, Danielle Gately, Orla Kildea, Sarah Gannon, Sarah Galvin, Sarah Ryan, Sarah Shobiyi, Shauna Kenny, Shauna McEvilly, Chloe Shanahan. Our Gaelic for Mother's & Other's set off on Saturday 16th June to the Connaught Centre of Excellence in Ballyhaunis to partake in the Connaught G4M&O's blitz. 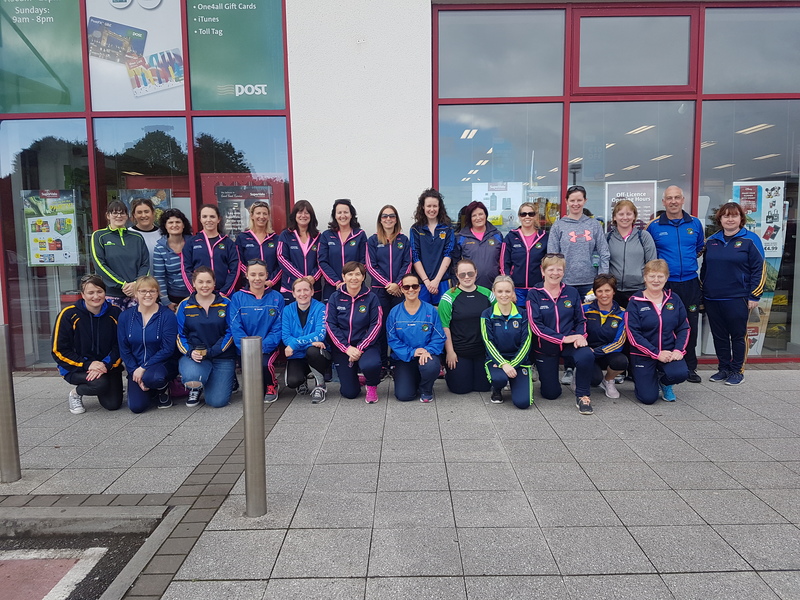 The club was very well represented by 24 Clann ladies who played four matches on the day. A very enjoyable day was had by all. Special thanks to Peter Shine - our manager for his continuous help and patience with us and Lesley O'Neill who is the strong backbone of the team, not forgetting our very special & much needed water lady - Mary O'Brien who we could not be without!